GREEN BAY — The Packers can win their fifth consecutive NFC North title on Sunday, but the goal is greater. “We make it clear what the goal is here. It’s about winning championships. You have to achieve levels of success to get there. This is definitely an achievement that’s measurable. There’s a reason we were moved to Sunday Night Football. It’s a game that’s attractive. Winning the division is important, but getting into the playoffs is the ultimate. If you ever wanted a playoff-type game to prepare us for the playoffs, we’re going to play one on Sunday night,” Coach Mike McCarthy said on Friday. McCarthy painted an optimistic picture of his team’s health for Sunday’s game against the Vikings. Starks has lost fumbles in each of the previous two games. McCarthy’s policy is to immediately pull a player from the game after he’s lost a fumble, but he said it ends there. “We’re going to go win the game against the Vikings playing our best football players. We don’t have time to get into benchings. It’s time to go win,” he said. The Packers head coach also expressed optimism for the readiness of tackles David Bakhtiari and Bryan Bulaga, both of whom are nursing ankle injuries. “I feel good about Dave. He hasn’t missed a start. 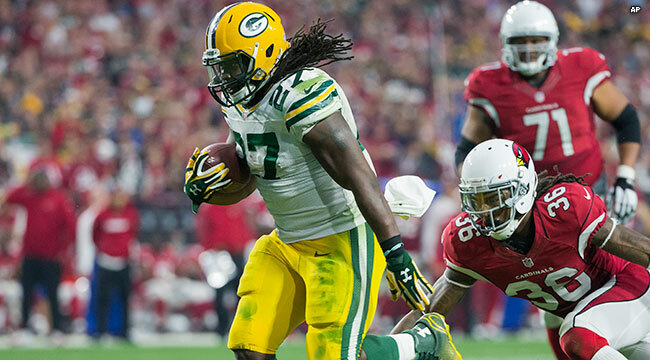 I’m going to give him every chance to play in this game,” McCarthy said.